[toc]One of the main factors that define a woman is their menstruation cycle also known as periods in common terms. Basically, it is a 4-7 days cycle of bleeding every 28 days in a woman’s life. It is the underlying reason of a woman being fertile and having the ability to conceive a new life. One of the first things to do for the right treatment of painful menstruation is to include loads of nutrients in the diet. 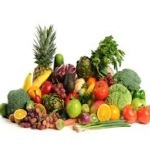 This includes vitamins and minerals in the form of fresh fruits and vegetables. Apart from this, one needs to ensure that the diet is balanced each day to help the body function properly. Refined carbohydrates should be stayed away from and whole grains should be taken instead. These include oatmeal, brown rice, millet and quinoa. All kinds of sugar as well as processed foods can worsen the situation and hamper the treatment. These should be eliminated as well as a natural cure along with dairy products that leads to body congestion. Even if you do eat, make sure it’s completely organic in nature. Egg yolk and red meat should be eaten in limits. There are various safe and sound supplements available in the market that can help in the cure of pains felt during those 4-7 days of cycle in women. Herein, you should be aware that the supplements are 100 percent free from side effects. Consider the dose only after proper consultation with a professional. 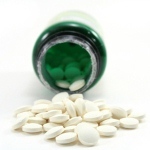 The supplements include that of whole food multivitamin, omega 6, magnesium and Vitamin A. It should be continued till the problem is treated from the roots. Among the natural cures, the herbal treatment and their effectiveness for any ailment cannot be denied. In such a scenario, you might have to take advice from an herbalist about the dose that will suit you and your symptoms of menstruation pain but then it is always a good idea to know about the herbs that can help. Cramp bark and black haw along with dong quai, black cohosh and wild yam are some of the best herbs that can be considered in the situation. 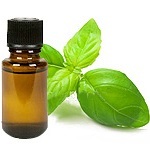 Some essential oils are really advantageous and help in the treatment of menstrual pain. German chamomile, sweet fennel and sweet marjoram are some that is worth mentioning here. All you need to do is blend it with carrier oil and gently massage the abdomen area. This should be done for all the 4-7 days of menstruation to keep the pains away. Apart from these effective measures, a simple natural cure that will keep you away from the pains is proper rest and sleep that will give the body the time to recover. About 8 hours of sleep every night is important and one that is not at all disturbed. Along with this, ensure that you take naps during the cycle and keep the energy restored for helping the body reduce the pain caused by menstruation.